The war inside Iraq and its neighboring countries has led to a large number of Syrian refugees and internally displaced people to seek refuge in this Kurdish province. 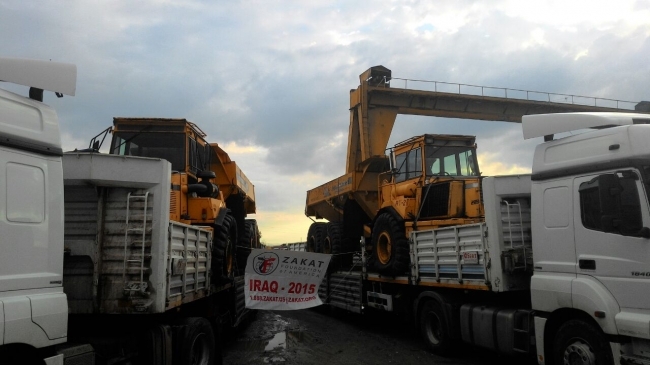 In order to facilitate the settlement of refugees in camps, Zakat Foundation of America donated two trucks to the Seyit Zahir Village Authority that will exclusively serve humanitarian purposes. The trucks will be used to facilitate the construction of roads and buildings for improved access to shelter, educational and health facilities, collection and disposal of solid waste, as well as transportation and distribution of food. The donated trucks will enable the local government to better respond to infrastructure needs arising from the inflow of IDP’s and other refugees into their territory. These efforts are a part of Zakat Foundation’s commitment to aiding refugees in their struggle and helping them to settle comfortably while awaiting a more permanent solution. Worldbank.org. http://www.worldbank.org/en/news/press-release/2015/02/12/kurdistan-region-iraq-stabilize-economy, 12 Feb. 2015. Web. 10 Apr. 2015.